In last week’s “What I’m Watching,” I made an offhand remark about Henry Fonda, whom I’d just watched in Fritz Lang’s great film You Only Live Once, being “in the running for greatest screen actor ever.” I stand by that assessment and would like to expand on it. 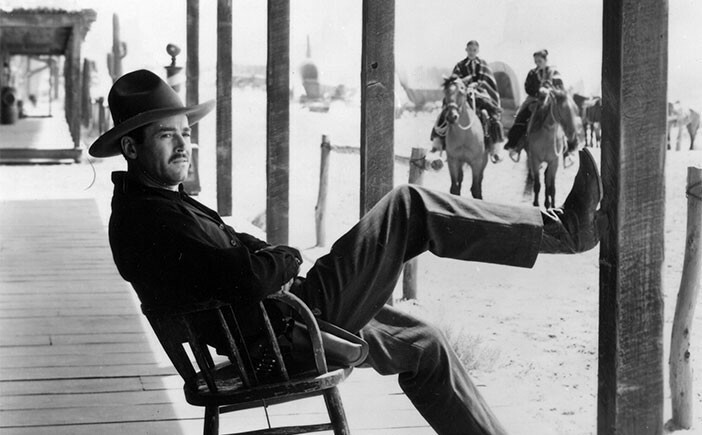 I did a bit of research on Fonda in grad school, mostly about how his performance style developed and was refined by a handful of directors (such as John Ford and Sergio Leone). It’s difficult to pick out the single best of Fonda’s performances, though some argue for his turn as Frank in Leone’s great masterpiece Once Upon a Time in the West. That film stands out in Fonda’s oeuvre because he plays one of the most ruthless, cold-blooded killers in film history — a 180-degree piece of casting against type. For most of the 1930s, ’40s and ’50s, Fonda was one of Hollywood’s quintessential good-guy Everymen, his persona inflected with an aw-shucks ordinariness. For him to play a vengeful murderer was quite a shock to many viewers, and the fact that he does it so well in Once Upon a Time in the West made a strong impression. Man, Fonda really could do it all. In my research on Fonda, I came across the transcript of a long interview he did at the American Film Institute in the 1970s. In discussing Once Upon a Time in the West, Fonda recalled how he’d showed up at the screen test with several days’ worth of stubble and a generally grizzled appearance — the better, he figured, to look the part of the vicious Frank. Leone, though, insisted that Fonda clean himself up and look as baby-faced as possible; he wanted Fonda to bear the outward signs of his “innocent” star persona. For Leone, Frank’s evilness could only seem more despicable if it was enacted by a Henry Fonda who resembled, as strongly as possible, the Everyman figure from the 1940s. Turns out Leone made a great call. Frank’s evil is all the nastier for its origins in someone who looks so nice. 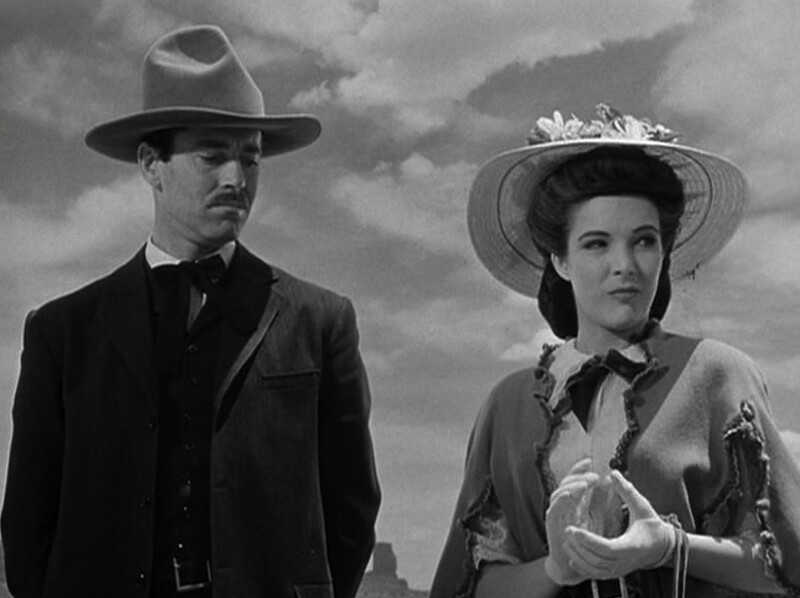 Fonda is remarkable in that film, but to me his status as one of the greatest rests largely on a film that I can't seem to stop watching: My Darling Clementine, which I’ve probably seen 30 times. 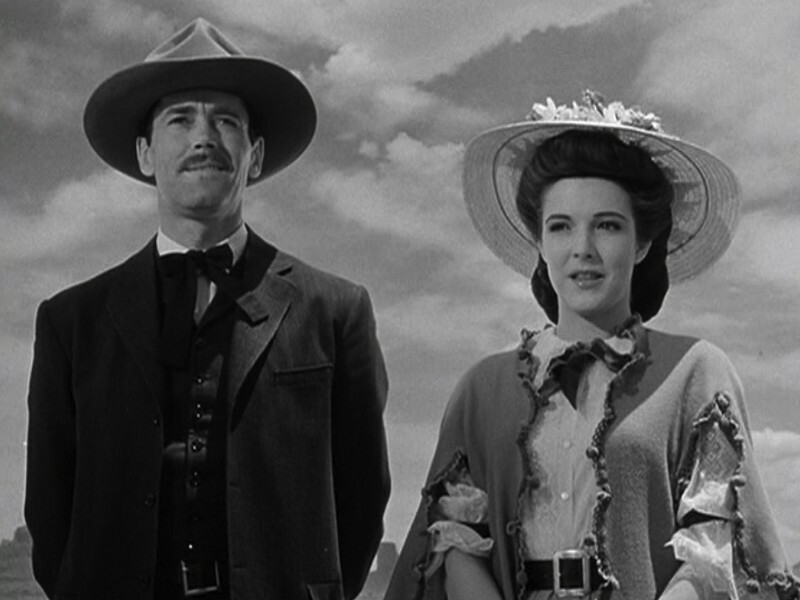 Clementine is one of John Ford’s greatest Westerns — which is to say, one of the greatest Westerns ever made. 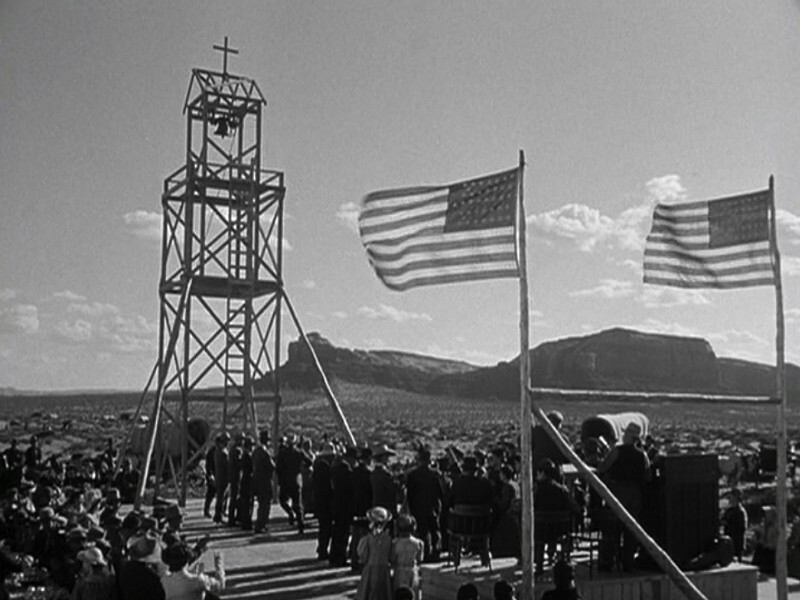 Though Fonda is terrific in every one of his scenes in My Darling Clementine, my high estimation of his acting skills is based chiefly on one scene: the pivotal sequence in which the residents of Tombstone stage a dance in their not-yet-fully-built church. This scene is so beautiful and joyous that it actually makes me cry a little every time I see it. This scene is gorgeous in part because of Ford’s treatment of the mise-en-scène. The way the church's outline blends with those of the mesa formations in the distance is not only pictorially stunning but thematically on target. 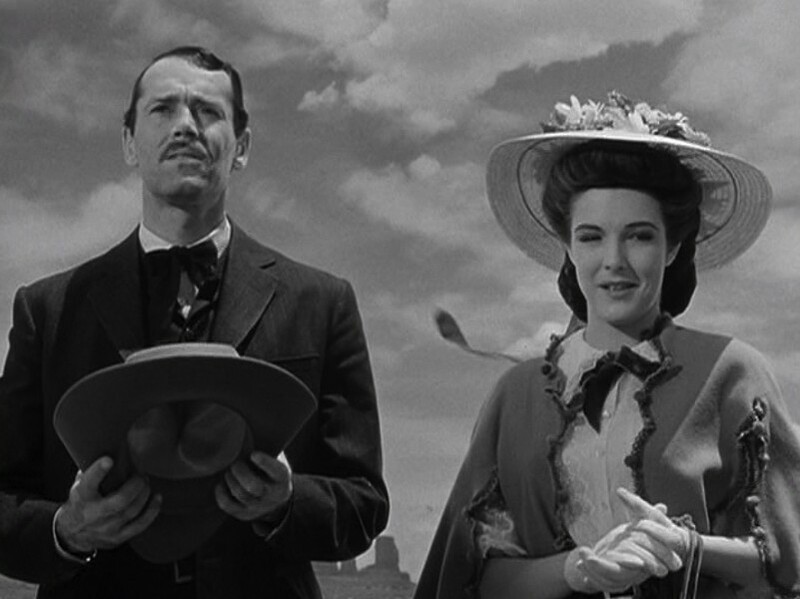 This part of the film concerns the ways in which the good people of Tombstone, a rough-and-tumble frontier town, are nevertheless confidently creating a welcoming, responsible community. As the center of their civic lives, the half-built church stands in for their incomplete task, with the rugged landscape a reminder of how far they have to go. The integration of the natural landscape, the church's architecture, and two flags. But Fonda’s performance is the main thing about this scene that gets me all teary-eyed. It’s a turning point for his character, Wyatt Earp, who is himself a rugged fellow but has nevertheless reluctantly accepted the position of Tombstone’s marshall. This scene is the moment when Wyatt finally leaves behind the kill-or-be-killed Code of the West to embrace the precepts of law and order. To do this, he needs to fully accept his place in the community, but it’s not an easy thing for this recalcitrant cowboy to do. Fonda’s performance, as Wyatt struggles to embrace his new responsibilities, is a thing of great subtlety and beauty. At first, he stands next to the titular Clementine on the sidelines of the church dance, watching other folks whoop it up at a hoedown. Clementine, as is evident from actor Cathy Downs’ knowing smile, is eager to dance with Wyatt but recognizes his reluctance; the code of behavior of the day holds that women must wait to dance until asked by men. Ford gives us three cutaways of Fonda and Downs watching the dance. In the first, Fonda stands up straight, his hands behind his back, smiling faintly at the proceedings he’s watching. In the second, Downs, her hands clapping, glances at Fonda; with this glance, Clementine is asking Wyatt, “Why haven’t you asked me to dance?” When she turns away, Fonda steals a glance at her clapping hands, but avoids eye contact. He also loses his smile and rocks uneasily in place on his heels. The second cutaway: Wyatt glances at Clem when she's not looking. In the third cutaway, Fonda, his face very nearly a grimace, takes off his hat, takes a deep breath, tosses the hat offscreen to the left, and, bending slightly forward and to the right, mutters to Downs, “Oblige me, ma’am?” His uneasiness is palpable, a emotion confirmed when he seems confused about offering Downs his elbow, and when he looks baffled when considering how to fold Downs’ wrap over his forearm. The third cutaway: Wyatt has given up, as indicated by his preparing to toss his hat aside. When Wyatt and Clementine do finally clamber onto the dance floor, a space cleared out for them by the dance’s caller, Wyatt loses all signs of his previous reluctance. 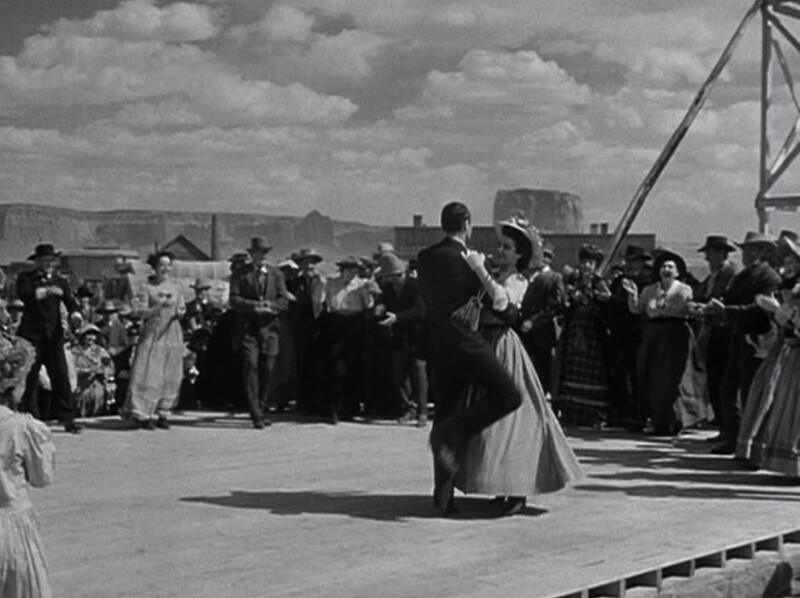 The way Fonda dances at this moment is the main reason why I admire his performing abilities so much. He dances in a funny, awkward, memorable way, raising his leg on every other step so that his knee forms a right angle. Twirling around and around with Downs, Fonda continues to raise his leg in a way that somehow manages to convey the contrasting ideas of gracefulness and ungainliness. A lanky fellow, Fonda uses his height and gangliness to create an effect that is funny, endearing and weird, and he makes the scene unforgettable. In the many times I’ve seen this film, I’ve never once noticed anything else about this scene. I couldn’t tell you how Downs dances, nor how the onlookers respond to Wyatt’s dance-floor moves. All I can look at is Fonda’s huge smile and that bent knee, which, in its awkward grace, conveys Wyatt’s transition from rough-hewn frontiersman to upstanding lawman. Acting is a whole-body process. It’s more than just convincing line delivery and facial expressions, though those facets of it often grab the most attention. If by simply raising a bent knee at intervals an actor can project humor, sincerity, awkwardness, joy, responsibility and caring, then this, to me, is proof positive of that actor’s remarkable skill.